Needless to say (but I’ll say it anyway), this is pretty shocking. How could an esteemed publication such as the Daily Mail (don’t laugh) mess this up so badly? I don’t know; I’m not in that business. The business I’m in is recounting what the hell happened to these players from 2007 on. And subsequently mocking it. Here we go! Ben Amos (goalkeeper, Manchester United): Amos started playing at United when he was 11 (the U-13 side) and the Macclesfield native made his first team debut at the tender age of 18 in the 2008 League Cup. But then a funny thing happened: Fergie kept naming him third-choice keeper. Newsflash: if you can’t displace Anders Lindegaard as second-choice keeper, chances are you aren’t that good. Since 2009, he has been loaned out to Peterborough, Molde, Oldham Athletic, Hull City, and Carlisle United, never appearing more than 19 times with any of the five clubs. Sam Hutchinson (defender, Chelsea): Hutchinson’s story isn’t as much about poor form as it is poor fitness. He made his first team debut under Mourinho in 2007, when he was only 18. But he would not appear for the Blues again until the 2009-10 season, and in August 2010, Hutchinson announced his retirement due to knee troubles. A year later, he un-retired after the knee improved, and on 29 April 2012, he returned as a substitute in a 6-1 win over QPR. He made nine appearances on loan at Nottingham Forest in 2012-13, scoring once, and played for both Vitesse and Sheffield Wednesday in 2013-14 before Chelsea made him available for free last month. Micah Richards (*captain*, defender, Manchester City): Injuries have done Richards in over the past couple seasons, but there’s no doubting he was a can’t-miss young player when the predictions were made. When fit, he was very good; he received a nomination for Etihad Player of the Year in 2011-12 and led all Premier League defenders with five assists that season. But as the injuries mounted, he lost his first-team place to Pablo Zabaleta, and he’s made only nine league appearances in the past two seasons. Gavin Hoyte (defender, Arsenal): Hoyte was Emirates property for five seasons, and he made only four appearances over those five seasons–three coming in the League Cup, which Wenger throws every year anyway. He’s had loan spells at Watford, Brighton & Hove Albion, Lincoln City, Wimbledon, and Dagenham & Redbridge (for whom he made 47 appearances in 2013-14). And–get this–last month he was called up to play South American fixtures against World Cup-bound countries Argentina and Iran. Which country called him up? Trinidad and Tobago. Robbie Threlfall (defender, Liverpool): Threlfall never made an appearance for Liverpool. He was loaned to Hereford United twice (2007-09), Stockport County, Northampton Town, and Bradford City. Liverpool cut ties with Threlfall in 2010, and he spent three seasons at Bradford City, scoring twice in 58 appearances. Threlfall was at League Two side Morecambe the past two seasons; he was granted his release last month. Dean Parrett (midfielder, Tottenham): Originally signed away from QPR, Parrett never played for Tottenham. Spurs loaned him out to Aldershot Town (2009), Plymouth Argyle (2010), Charlton Athletic (2011), Yeovil Town (2012), and Swindon Town (2013). Stevenage purchased him last October and now he plays there. Seriously. Michael Johnson (midfielder, Manchester City): Injuries, injuries, injuries. 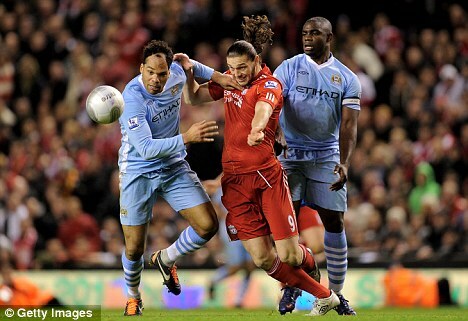 Johnson debuted for City in 2006 when he was 18; his season ended in March 2007 due to a hamstring injury. He sustained an abdominal injury at the end of 2007, which required surgery and kept him out until February 2008. Seven months later, Johnson re-aggravated the injury, and he would not return to the first team for nearly a year. He made only two appearances for the Citizens in 2009-10, and in December 2010, he suffered a serious knee injury. The Etihad side then cut their losses and loaned him out to Leicester City, where he got hurt again in January 2012. He hasn’t played since. James Henry (midfielder, Reading): Henry didn’t even feature for Reading until September 2007 in a League Cup loss to Liverpool. He made ten appearances overall for the club from 2006-2010 and spent time at Nottingham Forest, Bournemouth, Norwich, and Millwall, which purchased him after he scored eight goals in 27 appearances between 2008 and 2010. 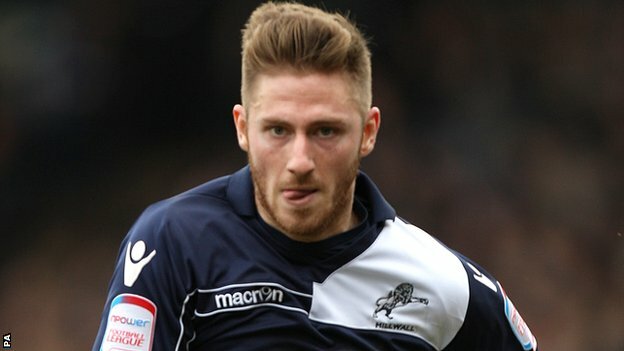 He played for the Lions until October 2013 (and he wasn’t half-bad), when he was loaned to Wolves. He signed on with the Molineux side permanently in December. Theo Walcott (forward, Arsenal): Here’s a familiar name! This one-time Southampton starlet was purchased by Arsenal in 2006, and unlike anyone else here, he has actually been to the World Cup (it was that same year and he didn’t play, but still). After Fabio Capello left him off the 2010 squad, Walcott took his game to another level, culminating in a career-best 21 goals in all comps during the 2012-13 season. He was all set to feature in Brazil this summer until he tore his ACL in January. Heartbreaking. Maybe in 2018, Theo. Jose Baxter (forward, Everton): Baxter featured 15 times in four seasons under David Moyes and was loaned to Tranmere Rovers in 2011. Everton released him the next year, and he had a successful season in League One for Oldham, scoring 13 times. Sheffield United purchased him in August 2013, and his debut season there was not as successful; he scored only six goals in 35 appearances. Scott Sinclair (forward, Chelsea): Originally signed from Bristol Rovers, Sinclair was given chances by three different managers at Stamford Bridge, but he never could stick. After loan spells at Plymouth Argyle, QPR, Charlton, Crystal Palace, Birmingham City, and Wigan, he found himself at Swansea, where he scored 27 times in all comps during the 2010-11 season. His hat trick in the Championship play-off final against Reading got Swansea promoted, and it also got Manchester City’s attention. His stint at the Etihad was disastrous, as was a subsequent loan to West Brom. Sinclair has not scored since 18 August, 2012. In conclusion: lots can change in seven years. Predictions are always tricky for that very reason; change is inevitable in all facets of life, not just football. A knee injury here, a difficult loan spell there, and grand dreams can be dashed in an instant. So we shouldn’t be too hard on the Daily Mail; rather, we should praise its ambition in attempting to nail down England’s 2014 World Cup team in ancient times. This entry was posted in 2014 FIFA World Cup, English Premier League, FIFA World Cup, Frivolities, Sky Bet Championship and tagged Manchester City, Manchester United. Bookmark the permalink.